All rooms contain: hospitality tray, hairdryer, blackout curtains and heated towel rail. All welcome from age 14 and above. 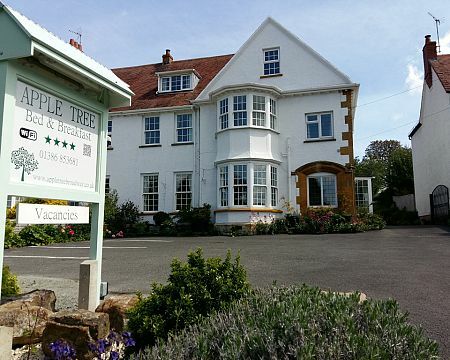 Apple Tree B&B offers accommodation in the pretty village of Broadway, the Jewel of the Cotswolds. 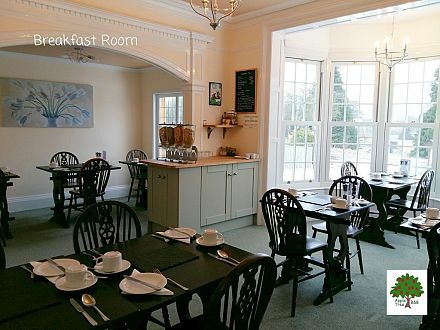 Within easy walking distance of Broadway's many restaurants, cafes and shops, Apple Tree B&B makes an excellent base for visiting Broadway and exploring the Cotswolds. 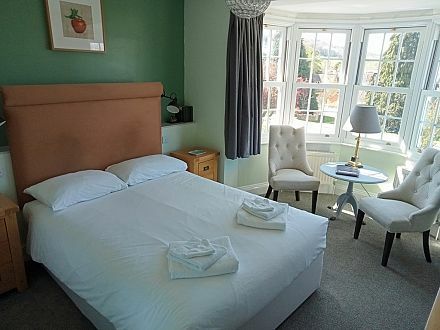 We have 8 comfortable rooms set up as double, twin, king size and a family room all with en suite facilities, plus a single room with private facilities (namely across the hall but not shared). 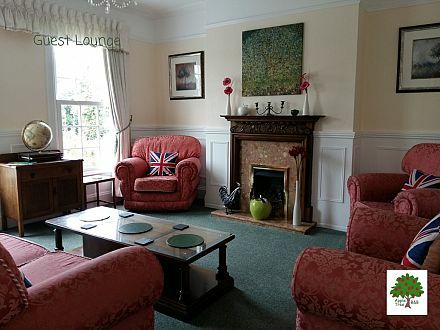 We also have a lounge and a garden for guests' enjoyment. Breakfast is included and we serve local produce wherever possible. Breakfast starts with fruit juice, cereals, fresh fruit and yogurt, followed by either a traditional English breakfast (with a vegetarian alternative) or a fish option. A variety of teas are available together with coffee, including decaffeinated alternatives. Car parking is available with 1 car parking space per room booked and free WiFi is available. We hope to welcome you to Broadway at Apple Tree B&B.